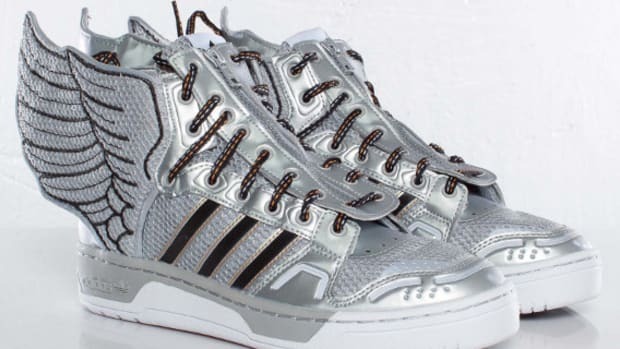 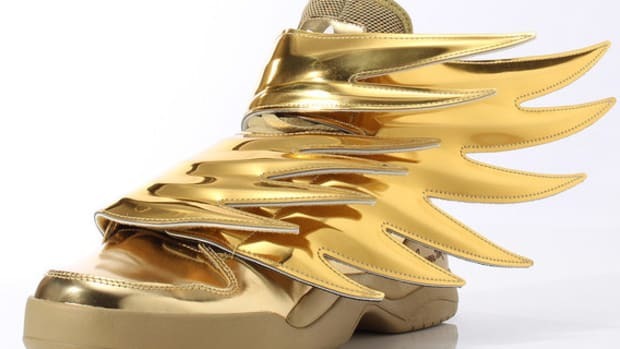 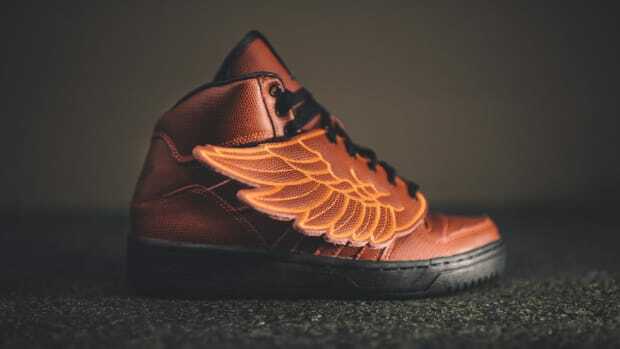 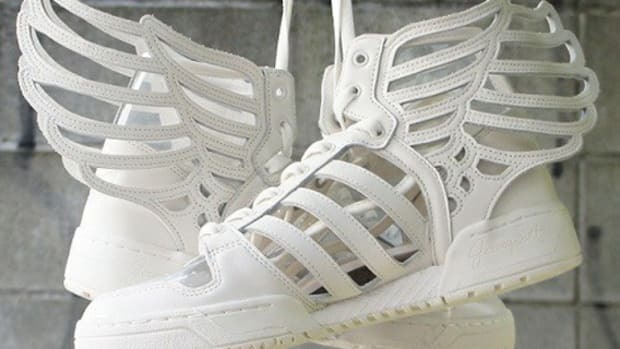 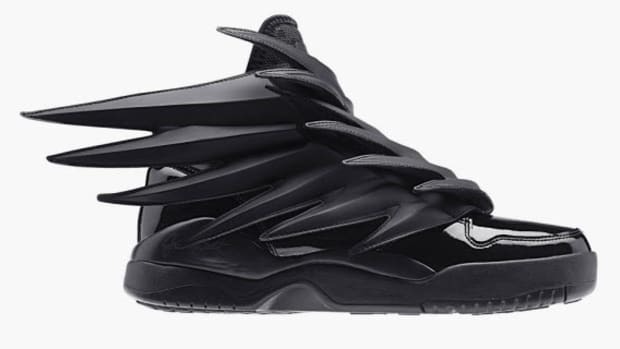 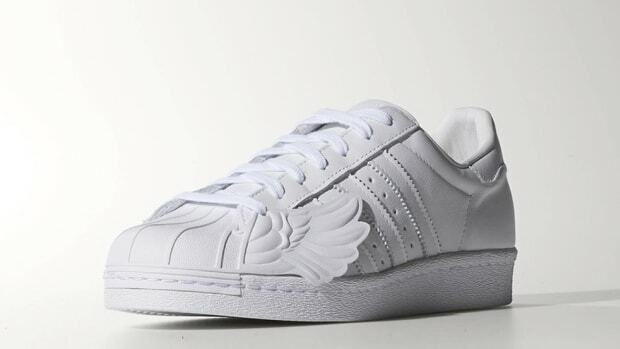 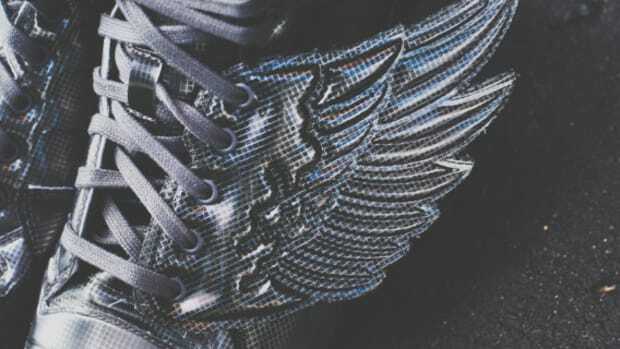 Jeremy Scott‘s name took flight in the sneaker firmament with his series of winged adidas sneakers, and the original is back this season sporting a new graphic look. 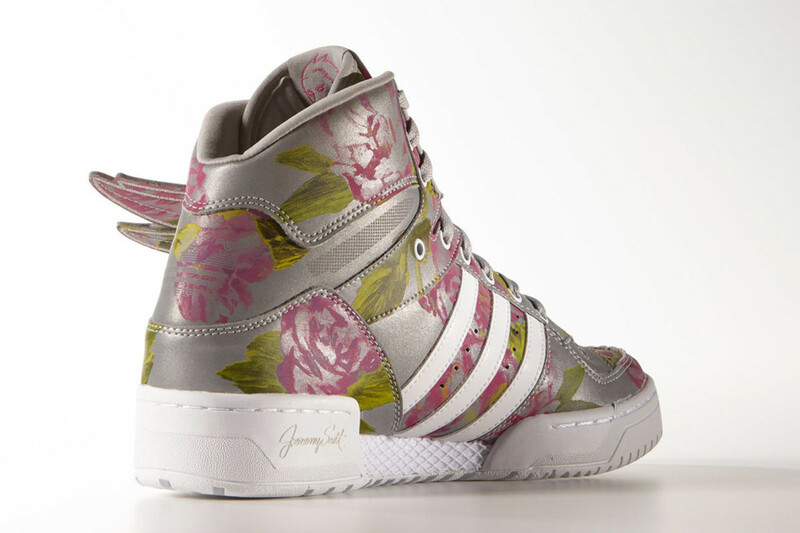 The retro high-top, mounted on adidas Metro Attitude tooling, boasts a reflective mirror-effect leather upper, finished in an all-over print of romantic pink roses. 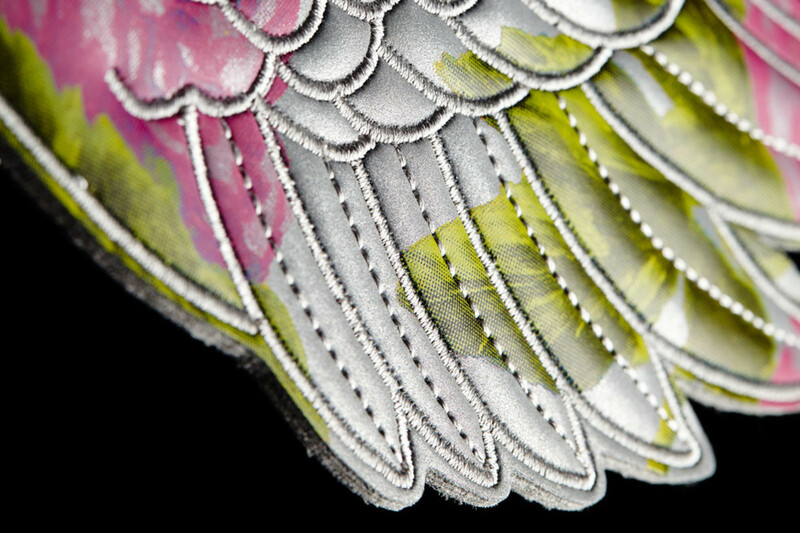 The floral pattern is repeated on the turned-down wings, adding even more flair to an already over-the-top design. 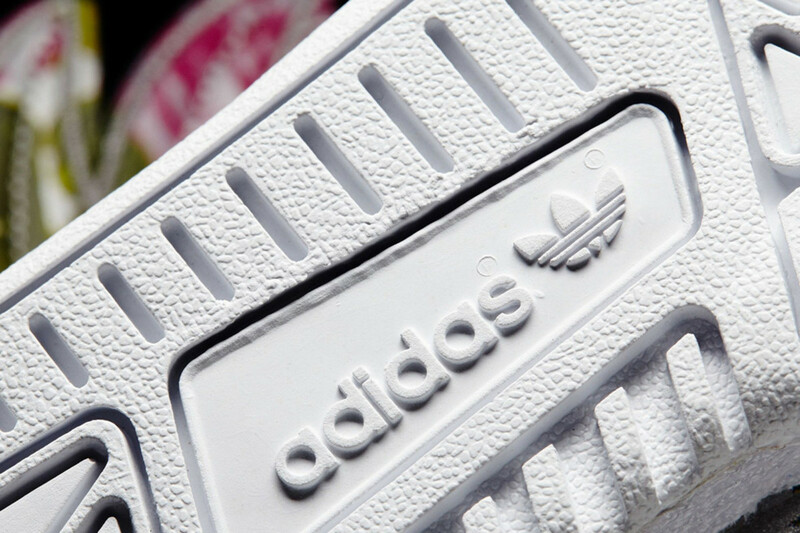 Tonal stitching throughout and white leather signature three-stripes round out the details. 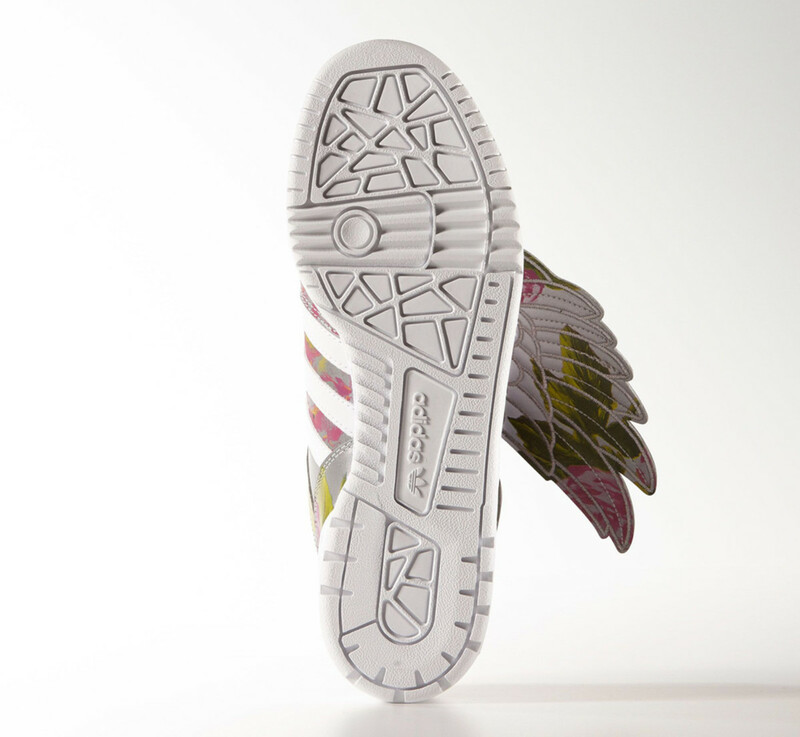 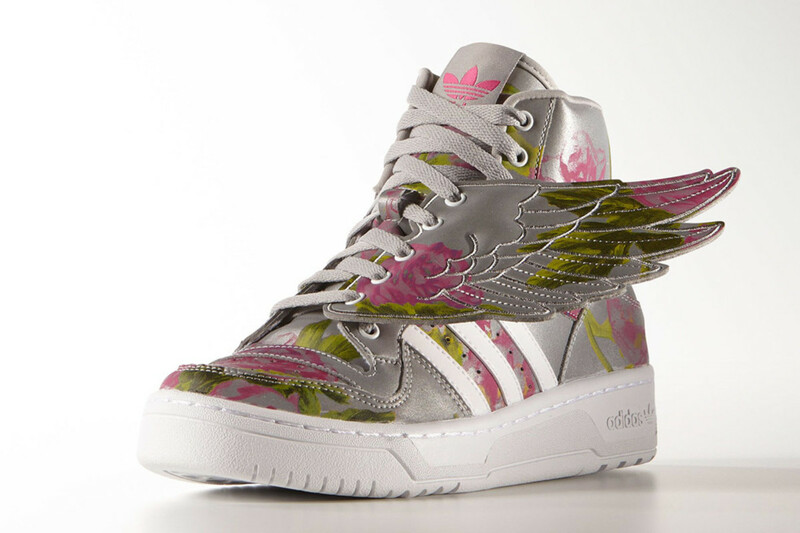 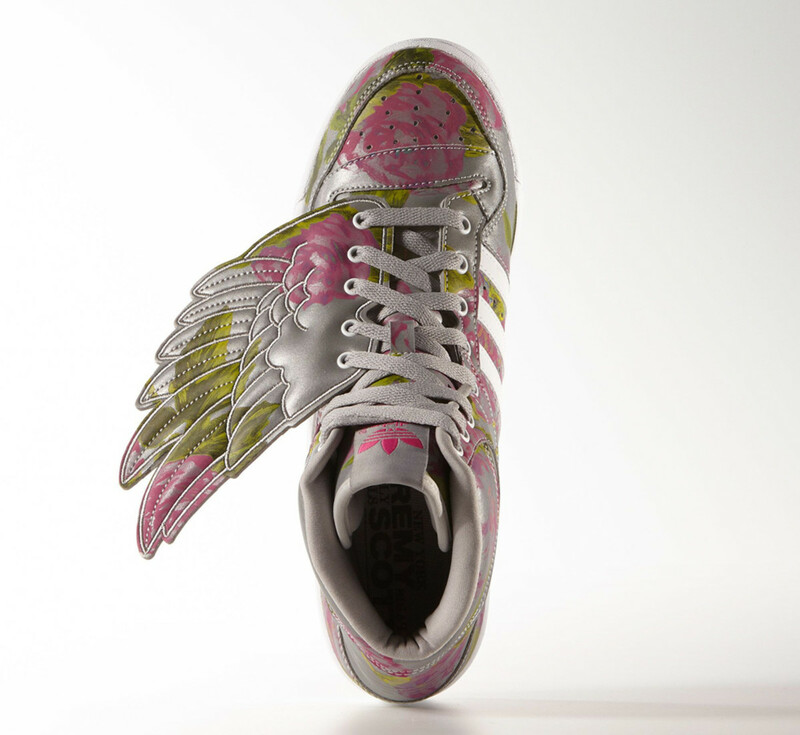 The adidas Originals by Jeremy Scott Wings “Floral” is available now through select adidas retailers and online. 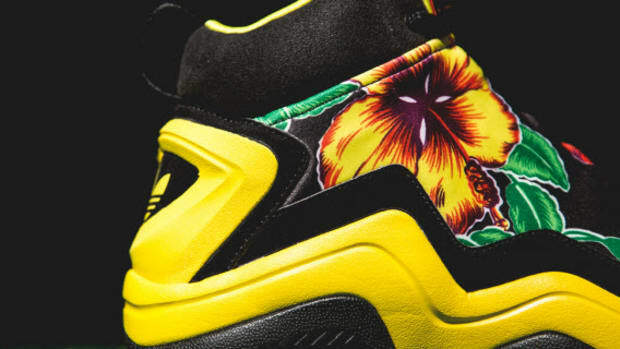 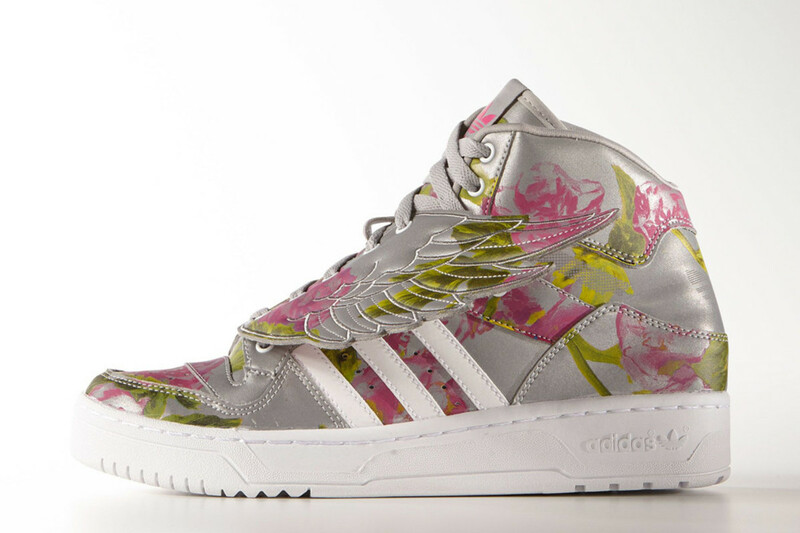 adidas Originals by Jeremy Scott Prime Skin "Floral"